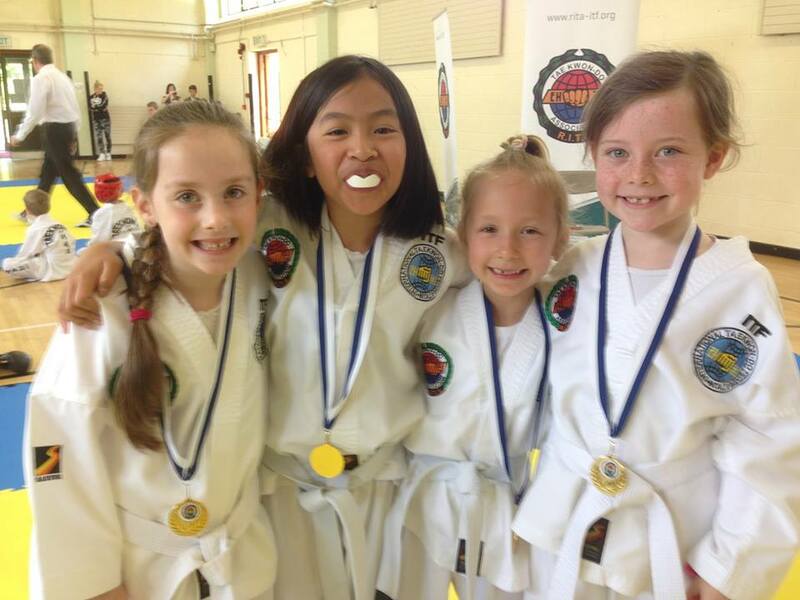 Our annual Fun Challenge for our young Tigers and Dragons Taekwon-Do students took place recently in our Navan road (Dublin 7) venue. The event was aimed at developing the children’s competition skills and is an integral part of the RITA’s Children Development programme. 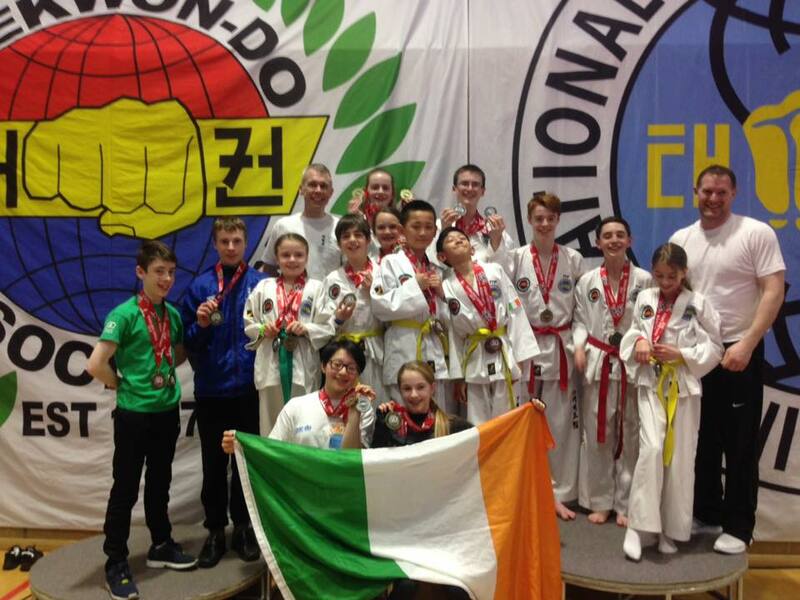 We were delighted to share the event with the Tiger and Dragons from Dublin North East (Donnycarney) and their instructors. The day started at St Joseph’s School for the Deaf with the younger Tiger students (6-8 years). There were about 30 students competing in four events; Technical (4-step punch), stretching routine, jumping kick and team sparring. The Tigers wowed the judges and audience with their advanced stretching routines and showed great enthusiasm in all of their events. The Dragons (9-11 years) took to the mats in the afternoon and showed really high technical skills in the patterns event. Their advanced skills in flexibility, jumping ability and sparring were also on display as they impressed the umpires and parents. Thank you to all the umpires from Grandmaster Howard’s school and Dublin North East for giving up their day to judge at the event. The next event on the Tigers and Dragons programme is their grading in June. This is a special class to prepare your child for real tournaments in the future. It is a fun event and is designed to encourage your child to practice their Taekwon-Do at home. Congratulations to Mr Derek Brady, Ms Bróna Kelly, and Ms Breda O’Donoghue, who passed the recent national umpire course which was held in Galway. We’re all looking forward to seeing them representing the school at the ITF-Ireland Cup next weekend. Results below. “Brothers & Sisters” with a fantastic opportunity to meet and train with our very own RITA Grandmaster. Students from 10th Kup are welcome to attend (Junior & Senior). Please note No food facilities available, a packed lunch is recommended. Thanking you in advance for your continued support throughout the years we look forward to another very successful event. The RITA’s Colour Belt Squad travelled to English Open 2017 last weekend, as part of the association’s development programme. The tournament was held in Guilford and run by our good friends in the UKTA. Some of the national squad black belts also attended as part of their preparation for the European Championships held in Liverpool in April of this year. The squad consisted of 14 colour belts and 5 black belts and their hard work and preparation was evident as they gave some great performances across patterns, sparring and special technique. Their hard work returned a total of 31 medals (13 Gold, 9 Silver, 9 Bronze). Master Robert Howard, Mr Leon McSherry and Mr Adam Fox travelled with the squad and coached them over the weekend. We would like to thank the Grandmasters, Masters, Umpires and Mr David Norris of the UKTA for their warm welcome and for running another great event. A special thanks to the parents who travelled too and supported the whole squad trough out the trip.